An Invitation to Get Involved! As a worshipping community we are ALL called to actively participate in our liturgies through song, prayer, reflection, and ritual action. Some are called to specific liturgical ministries to serve as ushers, lectors, ministers of communion, altar servers, music ministers, and to assume other roles for the liturgies at St. Pius X. We invite you to discern your gifts and offer them in service to our worshipping community in one of the areas of liturgical ministry. Altar Servers assist with the preparation of the liturgy as well as during the Mass. The altar servers assist the sacristan whenever possible while anticipating the needs of each presider. Altar servers are called upon to serve at the weekend liturgies, holy days and special parish liturgies. For more information please contact Fr. Valentine. Lectors are called forth from the community to proclaim the Word of God. When we gather together to celebrate mass, we encounter God in the sacraments, in the presider, in one another, and in the proclamation of the Word of God. As a lector at St. Pius X, your ministry calls you to help the community recognize God present in the liturgy of the Word. 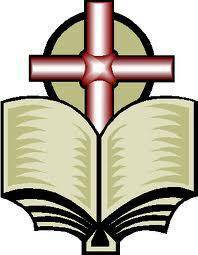 All are welcome to proclaim the Word of God at weekend liturgies. A good speaking voice, an ability to read in public, and a willingness to study scripture are necessary. Informal training is offered on an individual basis. For more information please contact Fr. Valentine. Ministers of Communion, EMs, assist the presider in distribution of the Body and Blood of Christ to the Faithful during Mass. 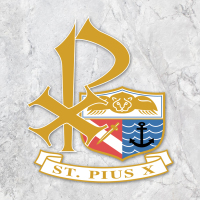 It is a grace-filled opportunity to minister to the St. Pius X community. Formation and training is offered in by the Diocese. Upon completion of the required training, Eucharistic Ministers are scheduled to serve for weekend and special liturgies. Music Ministers help to lead the community in song with their voices and or instruments. Whether it's Sunday Mass or a special liturgy, we are blessed to have the combined talents of our St. Pius X Parish Adult Choir, Children’s Choir and Folk Group in our music ministry. Music is a cherished component of our liturgical tradition, and we welcome vocal and instrumental musicians to share in this dynamic service to others! For more information please contact Mrs. Teresa Arrigo, Director Music Ministry. Ushers or Ministers of Hospitality help to create a welcoming environment at Mass for all those who come to worship. Ushers extend a welcome and sense of hospitality by greeting arriving worshippers, distributing mass programs, and attending to the collections and other needs that may arise during liturgy. For more information please contact Loretta Dressler.